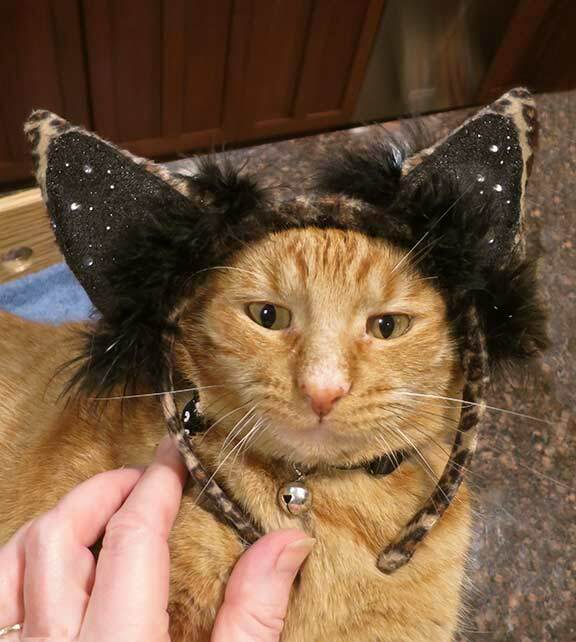 While it’s true that Rufus’ ear was tipped when he was Trapped, Neutered, but not Returned, we think it gives him a cute cat-around-town look. When Rufus was found living in a feral colony, he was malnourished and full of parasites. But he was certainly not feral! 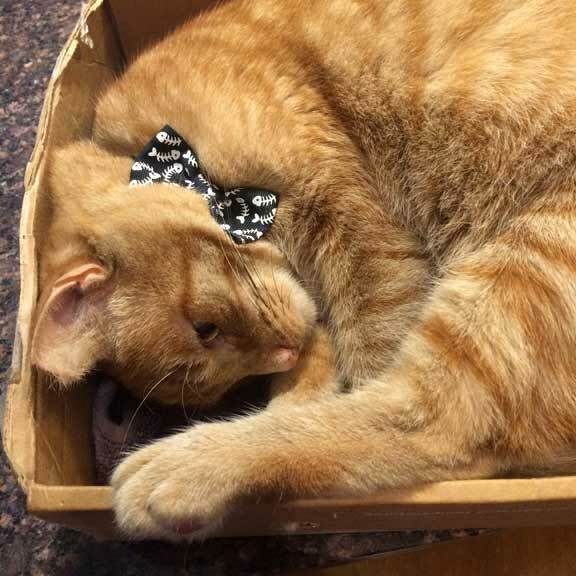 This was Rufus’ favorite box. It was the perfect size and had handy holes in the sides for play. This box sat on our kitchen island for almost two years until it started to look very worn. What to do? Buy another shipment of fruit to get a new box? 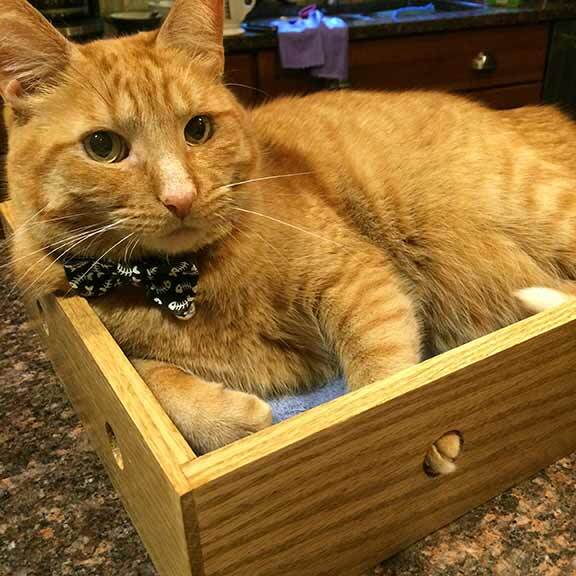 Fortunately Rufus’ Dad is a talented wood worker and catification guy. Thanks for the new oak box, Rick! 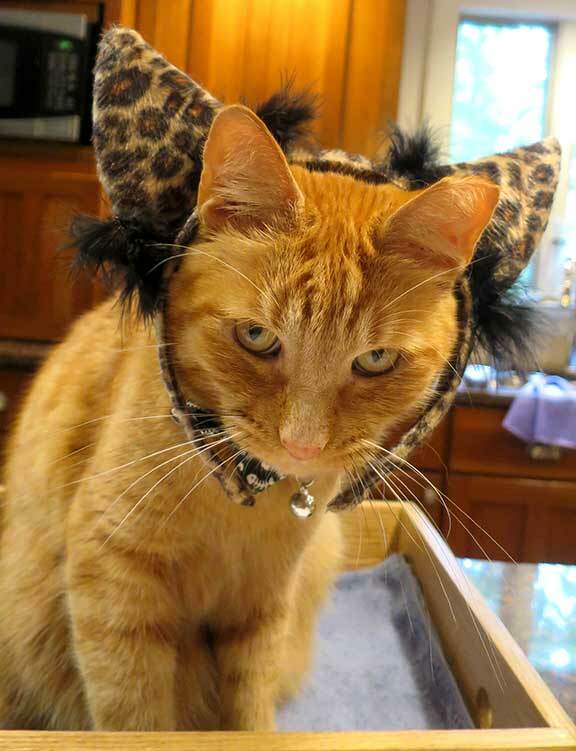 Usually this blog features cats available at PAWS in Norwalk CT, but today, Rufus has taken over. Please visit the shelter to find your own forever best friend.